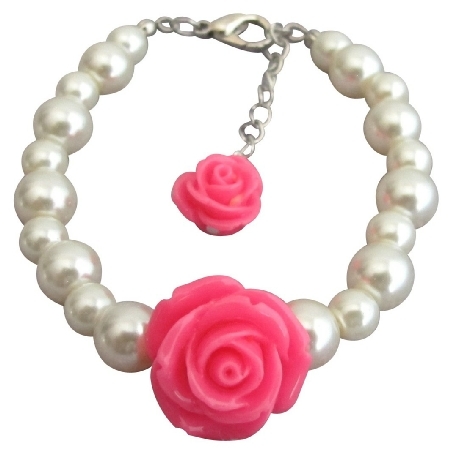 A stunning cluster of shimmering Ivory Pearls Rhinestones & soft fuchsia flower at center & dangling at extension beautiful bracelet adds sophisticated & elegant sparkle to your little girl evening wear & a dazzling addition to a her dress. This item in Bracelets & Bangles category was first added to our catalog on 10-31-2015. 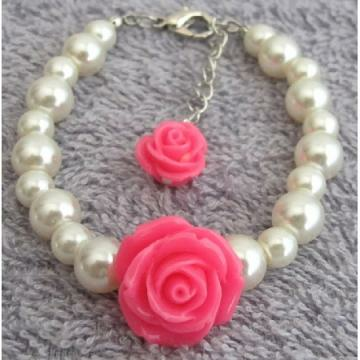 Buy Children Flower Bracelet Cute Little Girl Bracelet Holidays Gift, sold & shipped by Fashion Jewelry For Everyone where you can shop online for Leading Online Retailer for Indian Fashion Jewelry. This Bracelets/Bangles collection has been tagged as Children jewelry, Flower Bracelet, Cute Little Girl Bracelet, Holidays Gift,gift, pink rose pendant, .